Read about what Crowdfunding can do and how it can affects our life. ‘Networking’ is a term that’s become inextricably linked with the idea of success. And it’s never been more relevant or more accessible when it comes to developing your career, starting up a business or getting your entrepreneurial idea off the ground. The advent of social networking made the concept of getting to know contacts, spotting useful opportunities, and learning how to navigate the corporate world more open. But let’s go back to basics – what exactly is networking and how do you make the most of the opportunities in front of you? When the term is mentioned, you might feel you’re conjuring up ideas of awkward gatherings where people try to engage with each other. The good news is that networking is absolutely nothing like that in 2017 – all you need to do is avoid a few common missteps and you’ll find it fun and rewarding. Networking these days takes various different forms. It also can mean slightly different things to different people. However, at the core of the idea is making connections within a professional sphere. It’s not just about making sure your name is on contact lists, however. In order for networking to work for you, you have to focus on the creation and nurturing of symbiotic relationships. What can you do for them? Professional networking is about two-way relationships. If you start off only focusing on what the other person can do for you or your business, then you’re destined to fail. Putting the work into sustaining valuable connections is a long-term goal. 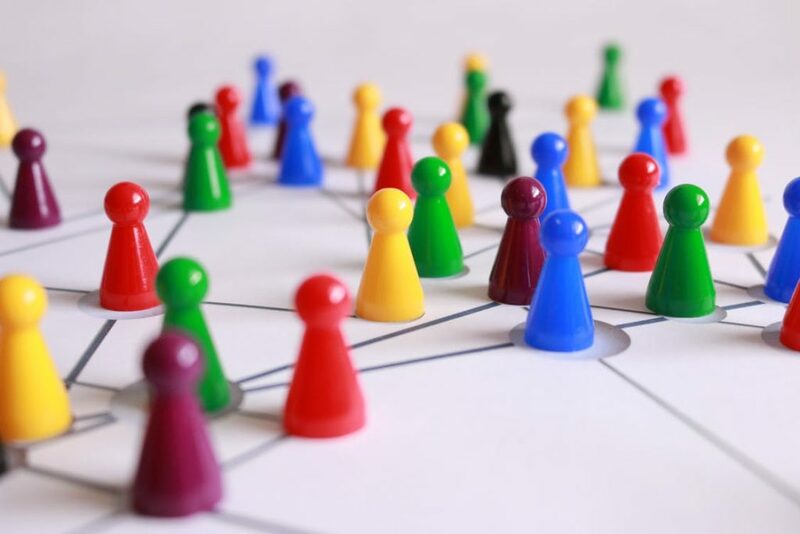 You can’t just rely on meeting someone once at a networking event, you then need to sustain these connections. Make the effort to stay in touch, discuss ideas and support each other and you are on your way to developing a network of support for your future career. Let’s say you meet someone you feel will be useful at a networking event. What’s the best way to stay in touch in an unobtrusive and professional manner? A personalised email or LinkedIn message is a great way to nurture the beginnings of the professional relationship. Move on to meeting up for a coffee or catching up on the phone if it feels appropriate. The benefits of networking are many and varied. Professionally, it can enormously benefit your company, whether you’re just starting up or are a few years along your journey. You can find a valuable network of resources from people who are experienced and knowledgeable in your sector. You can tap into this knowledge base when you need some insider information, or just some advice. Expanding your range of contacts outside of your direct industry can also benefit you in the long term. A diverse range of networking contacts will help you stay engaged and informed about the wider industry, and things that may be happening in other fields. You never know what the future holds, and you may find yourself moving into a different field one day. Get your face known out and about. Attending industry events in person is a great way to get to know people. It’s often easier to make the initial contact in person and being at an event held by your university, company or industry can mean making a lot of contacts in a short space of time. If you studied at college or university, check out the alumni events for your school. These can provide invaluable connections with people across a wide variety of industries. If you don’t have this resource to tap, don’t worry. There are always plenty of networking events for pretty much every industry. Get to know what’s going on in your sector and make sure you’re a part of it. Time spent building these kinds of contacts will help you down the road. While meeting face to face is ideal, sometimes it’s just not possible. With the wide uptake of professional social networking tools like LinkedIn, emailing someone to introduce yourself is both accepted and expected in many industries. Make sure you establish some kind of common connection when you reach out to someone who you haven’t yet met. This could be a professional event you both attended, or plan to attend, or someone you have in common. Talking about industry trends in a knowledgeable way can be enough to spark that note of interest with your intended networking target. If you’re new to the industry or just starting out, make sure you’re well versed in industry news to help make those first steps in conversation. Depending on your sector there are various social networking tools that can work for you. If it’s appropriate then make full use of apps like Instagram and Twitter to make connections, and, crucially, keep them going. LinkedIn is the obvious starting point for most industries and is absolutely worth getting involved with. It’s expanded a lot over the last few years, and although you will often need an exact email address to contact someone, it’s an invaluable tool for nurturing those vital connections. For more great content, visit freddieachom.com. What drives the world’s top entrepreneurs? © Frederick Achom. Awesome Inc. theme. Theme images by enot-poloskun. Powered by Blogger.